Everyone is talking about ketogenic diets now, and for good reason—a low-carb, high-fat nutritional approach is a highly effective way to lower blood sugar and insulin levels, reduce inflammation, increase energy, stabilize mood, and so much more. But far too many people are trying to go keto... read more without shifting the focus of their diet to real, whole foods. 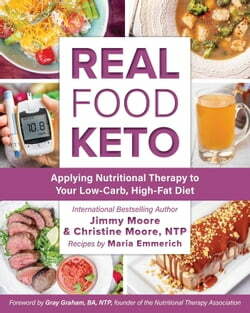 That’s what Real Food Keto attempts to educate readers about, explaining the reasons why whole foods are a critical element in optimizing your pursuit of nutritional ketosis.